This latest resort project from Disney joins three others that are already underway at Walt Disney Resort. Disney is adding a new, nature-inspired resort to its portfolio. The property, scheduled to open in 2022, will be located along Bay Lake, between Disney’s Wilderness Lodge and the Fort Wilderness Resort & Campground. This latest resort project from Disney joins three others that are already underway at Walt Disney Resort, bringing a total of more than 1,700 new hotel rooms and also vacation club villas, online over the coming four years. The deluxe resort, which will be themed to complement its natural surroundings, will include more than 900 hotel rooms and proposed Disney Vacation Club villas spread across a variety of unique accommodation types, Disney said in a statement. The soon-to-be-named resort will the 16th Disney Vacation Club property and it will continue to build on the value and flexibility of a Disney Vacation Club membership. The new nature resort is just the latest announcement from Disney this week. Disney also revealed plans for its Coronado Springs Resort to debut completely reimagined in 2019. That property will feature a new 15-story tower overlooking Lago Dorado, the resort’s centerpiece lake. Offering an additional 545 new guest rooms and suites, the tower also includes a two-level entrance lobby, concierge lounge, new meeting spaces and more. Guests will also be able to enjoy rooftop dining at a specialty table-service restaurant with panoramic views. The existing 1,800 guest rooms will also be fully updated with new fixtures, furnishings and a colour palette that ties the entire resort together. Also, currently under construction near Epcot and anticipated to open in 2019 is Disney’s Riviera Resort, the 15th Disney Vacation Club property. With plans for approximately 300 units across a variety of accommodation types, this property will connect to Disney’s Hollywood Studios and the International Gateway at Epcot via the Disney Skyliner. 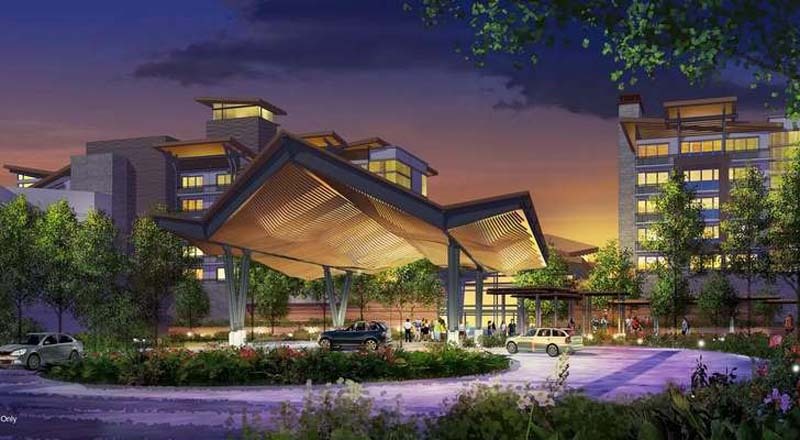 This new resort will be the first all-Disney Vacation Club property at Walt Disney World since Disney’s Saratoga Springs Resort & Spa opened in 2004. Disney also recently announced that it will be increasing the costs of annual park passes for the second time this year.